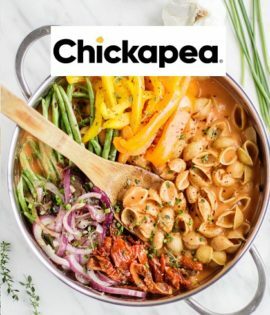 Chickapea Pasta is a healthy, gluten-free pasta made from ONLY 2 ingredients – organic chickpeas and lentils – that’s it! No fillers! It’s perfect for vegans or people making healthier choices. With 23 g of protein and 11 g of fibre per serving, Chickapea is a meal in itself, and it tastes just like pasta!